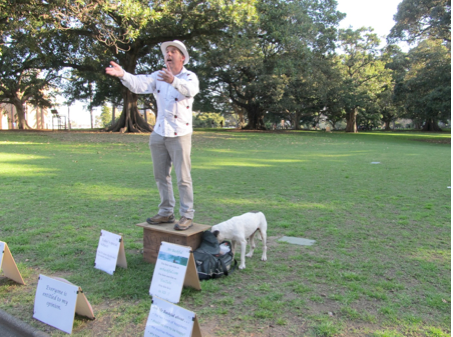 Photo Gallery | Speakers' Corner, Sydney. John Webster. Before the 1980s people came especially to listen to the speakers. John was one of the favourites. 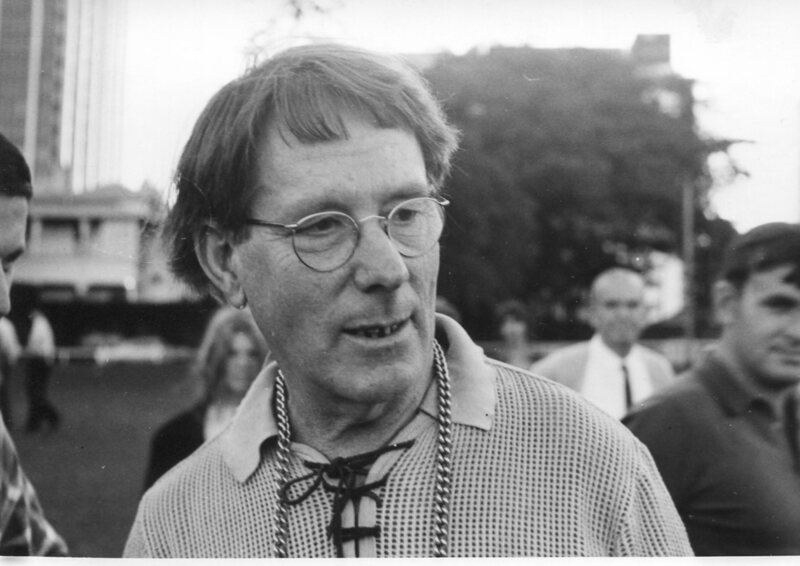 Three more of John Webster, taken in May, 1971 by Philip Ulman. The following five photographs were also generously provided by ex-speaker, Victor Zammit. Thank you, Victor. 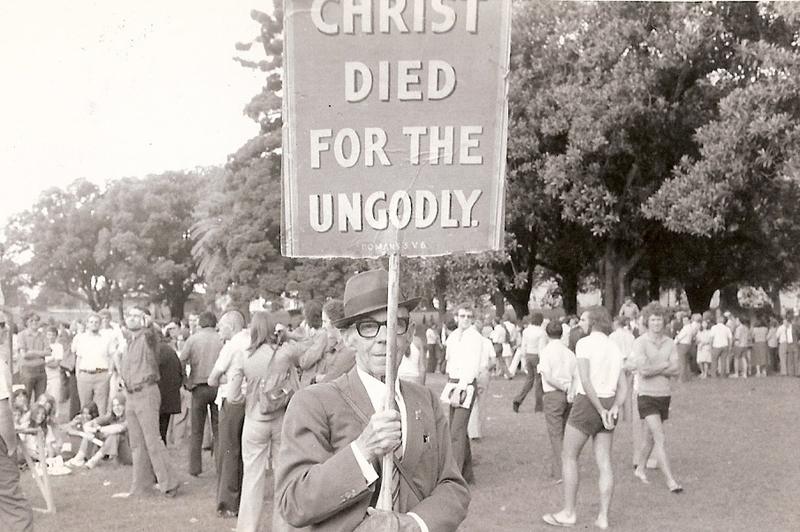 The good Mr Armstrong tried for many years to save souls in the Domain. Mr McKay talking about ‘Individual effort’. 1918. The land before Avocado, Richard Glover. This photograph of Egon Kisch, a Czech journalist, was taken in 1935, four years before Hitler invaded Poland to begin World War II. Many Australians thought highly of Adolf Hitler up until then because he had transformed Germany’s economy. 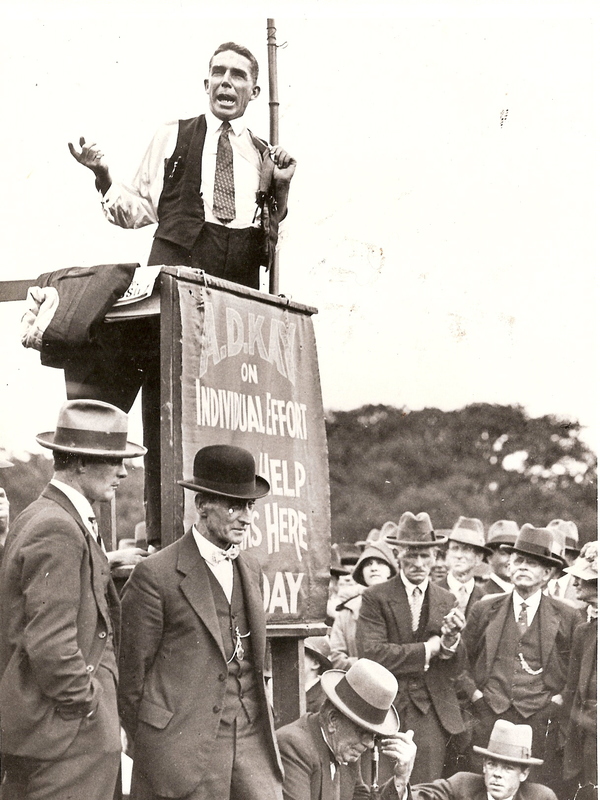 Egon Kisch thought otherwise, and stood on his soapbox to warn us all. He was soon proven right. 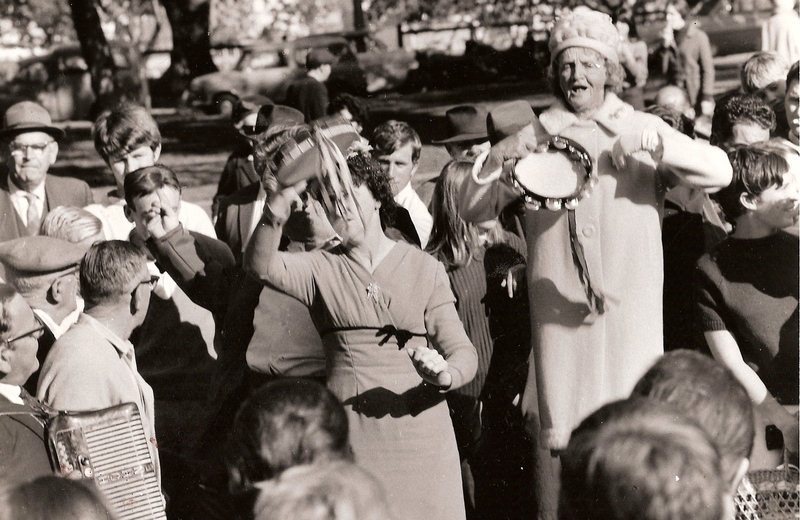 Sister Ada from the Salvation Army singing hymns for the sinners. 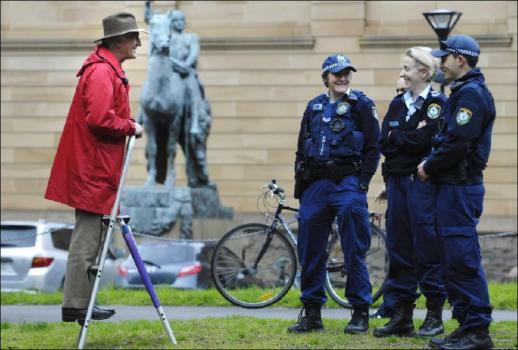 Photo from the Sydney Morning Herald. The photo below is of Victor Zammit himself. At one point Victor had two thousand listeners. Victor Zammit attracted a younger audience. The three photos below were generously provided by superb photographer, Greg Dickins, who took them in 1970. He is still photographing, and teaches photography at Photo Sydney. 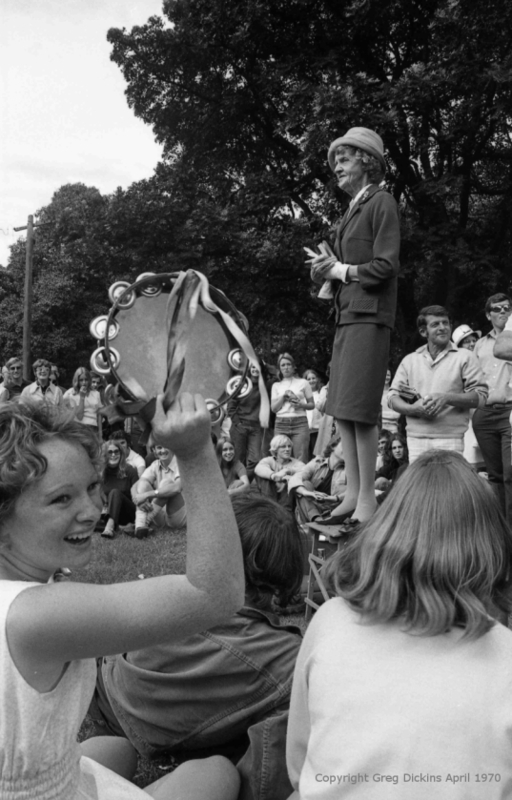 Speakers’ Corner was a place to be heard. A point of view mattered. Trying to catch flies? 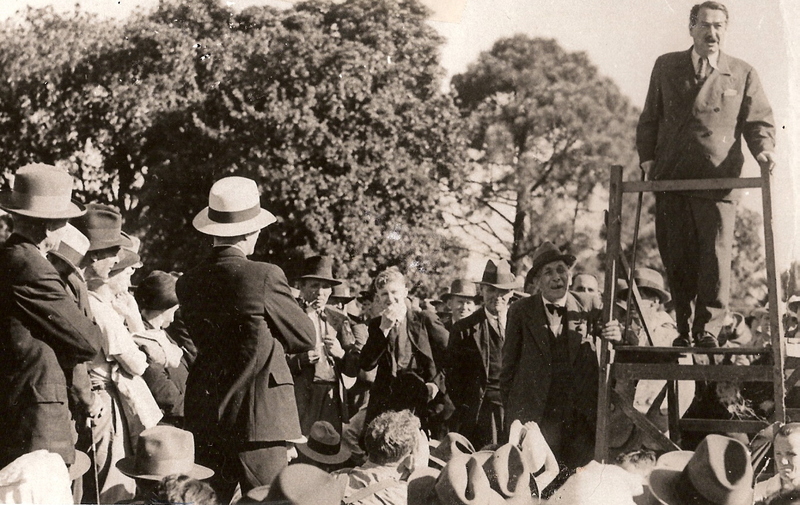 About to be lynched? We will never know. 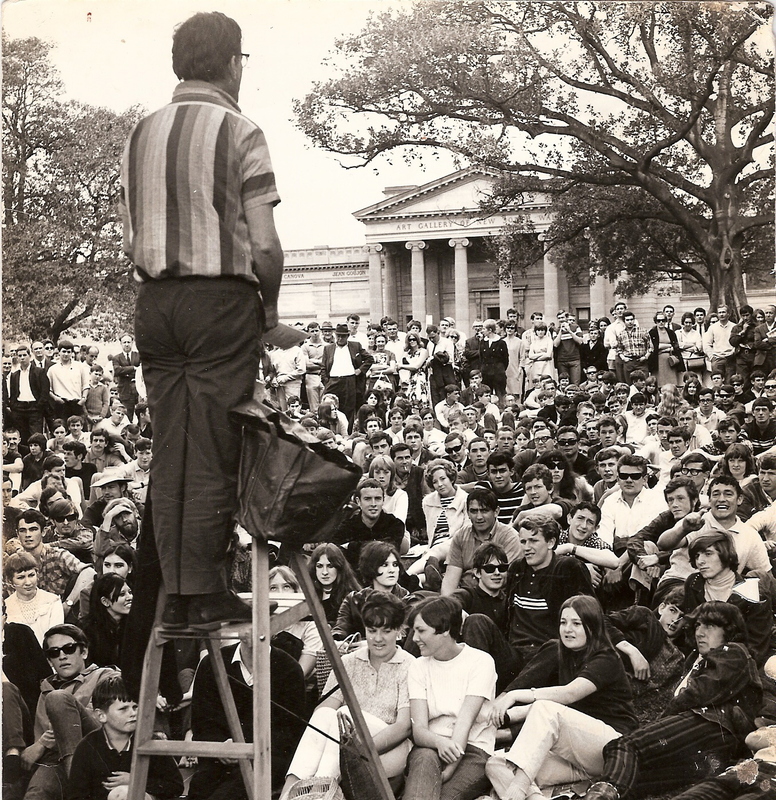 The photo below is of the poet, Denis Kevans, speaking in the Domain in the 1960’s. The photo appears with permission from his daughter, Sophia. You can buy Daniel’s book. It is A4 80gsm double-sided laser-printed, with laminated covers, comb-bound. The photos in both books (hard copy and PDF) have a much higher resolution than in the above examples. 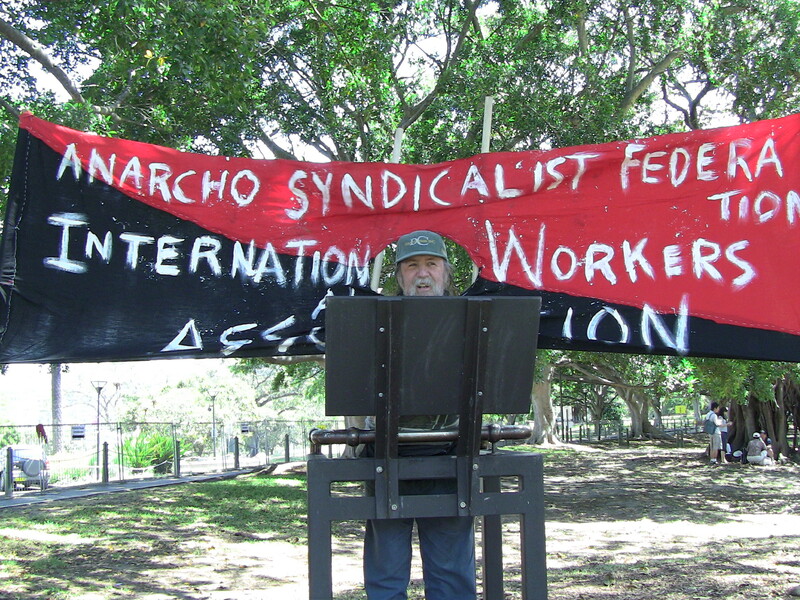 This fellow in the Australian National Alliance T-shirt is in the group below, on the right, speaking. He’s the blurred face on the right-hand side. The photograph below might give an indication of what the outspoken Ross “The Skull” May spruiked. 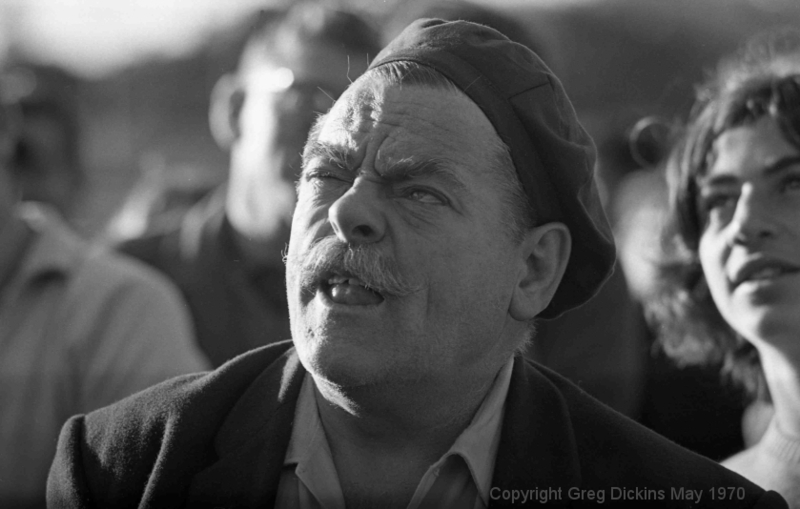 (Thanks to Victor Zammit for the following three photographs.) 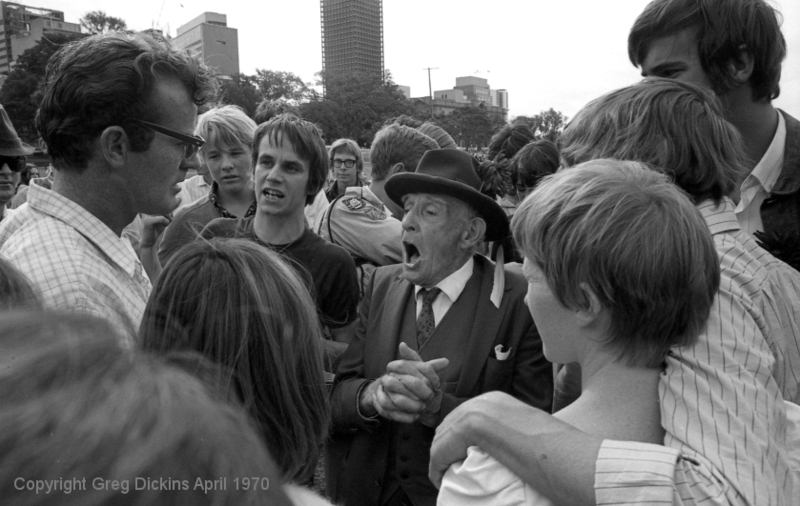 Ross (left) spoke at Speakers’ Corner for many years, and riled one or two members of the Jewish community. Helmut hasn’t always earned the favour of the police. 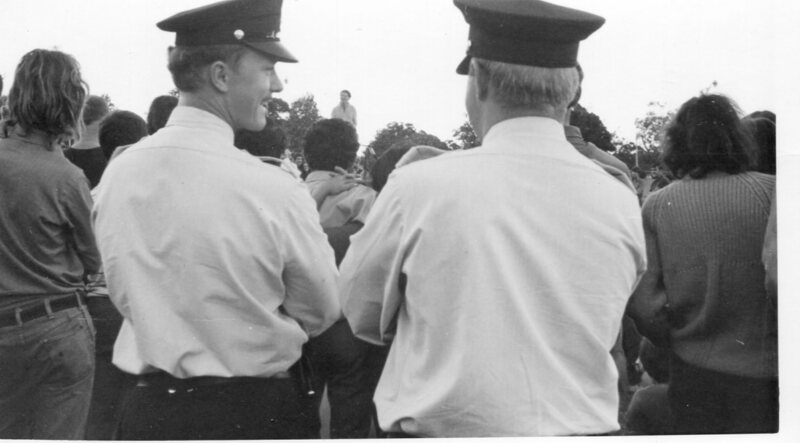 A few months after this photo was taken an officer sent him on his way for releasing a few colourful words. See the video, Helmut’s complaint, for more details. It’s charming that Warren advocates anarchy, yet isn’t game to state the name of the organisation he is rebelling against. A passer-by caught the Speakers’ Corner dog ‘borrowing’ a sandwich from the occupied Mr Bashful. Thank you to the passer-by who kindly sent the photo. Armita Abdollahian took these two photos of Steve in July, 2016. Thank you, Armita. Steve Maxwell, witnessing a ghost? Here is another. What a difference colour and expression can make! 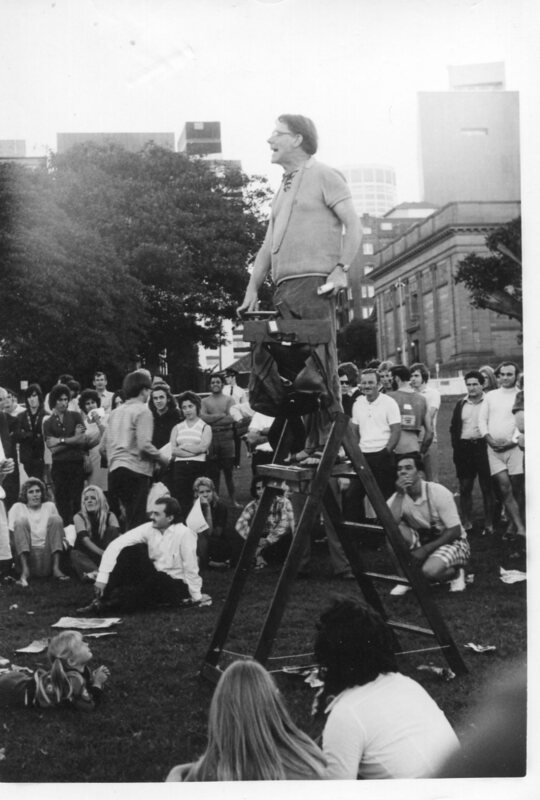 Steve Maxwell at Speakers’ Corner, Sydney. We have a pretty good backdrop! Thank you to Narelle Jarvis for the photo of Tony Boyce below.